I was reflecting recently that 2019 is the 29th year of my working life in the Third Sector, and I have learned and been reminded many times that the sector never stands still! On taking up my first role in September 1990 one of the first documents awaiting me on my desk was a green paper, The Charities Bill, which effectively became the Charities Act of 1992 and the platform for many of the changes we have seen to the legal and compliance environment since then. We are always managing change, adapting to what is happening around us. Change Management is also Risk Management, which for several years we have made a standing item on all our CVS board agendas, and I strongly recommend it to all boards as a necessary discipline from which we will always learn. 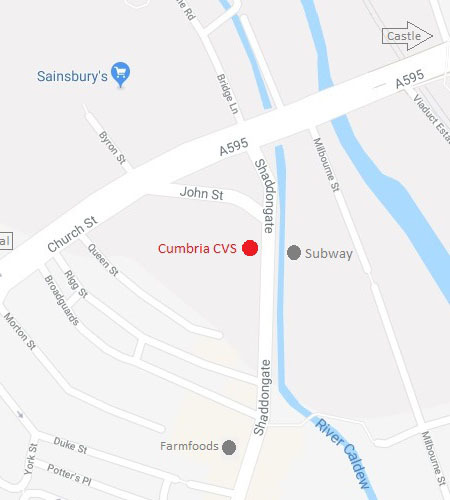 At Cumbria CVS, we are currently going through some changes, that I wanted you to share with you all. We are currently part way through the process of recruiting a new CEO and I would like to take this opportunity to thank Laura sincerely for her dedication and service to our communities and CVS for the last two years and wish her well in her future work. The process of appointing a successor should be complete by the end of April however, until a successor is appointed and able to take up position, our Senior Management Team – that is Jozi Brown, Bridget Johns, Ali Phillips, Jo Collin and Carolyn Otley – is now in charge and will be your points of contact should you need them. We are blessed to have a team of such committed and skilled senior managers, and I thank them all for their work. Cumbria CVS is also currently hoping to recruit new trustees to join and strengthen our CVS board. We currently have eight trustees – and according to our current governance, after six years, I myself will stand down later this year – and so we are looking to appoint upto four new trustees in the coming months. If this has triggered an interest and you feel that you would like to put yourself forward, do please contact Cumbria CVS and/or one of our senior management team for more information. Alternatively, you can visit our website, where full regarding how to apply are available: www.cumbriacvs.org.uk/vacancies. It is a hugely rewarding role, and really fertile ground for learning and knowledge. With winter now well and truly behind us (fingers crossed! ), and there is so much for us all to look forward to in our beautiful county. Have a great spring!